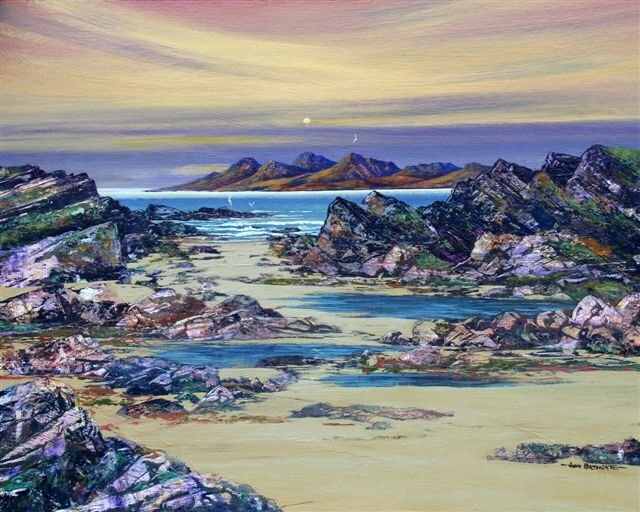 After joining "The Lothians Group of Artists" in 1979, John Bathgate started exhibiting in and around Edinburgh and established his first working studio in Haddington, East Lothian. He has been working as a full time artist ever since, exhibiting in group and one-man shows throughout Scotland, having also had work hung and sold in the RSW exhibition in Edinburgh. He now shows his work from Inverness down to London. Julian Halsby and Paul Harris included him in the new version of the "Dictionary of Scottish Painters, 1600 to the Present", published in 2010.